The practice of decorating soldiers’ graves is an ancient one. Reports and discussions describing the history of Memorial day in the United States suggests it evolved during and after the Civil War. The practice of devoting a day for decorating soldiers’ graves appears to have begun in the South; and was later copied in the North. On May 5, 1868 General John A. Logan issued a proclamation calling for “Decoration Day” to be observed annually and nationwide. “Memorial Day” was first used as a synonym for “Decoration Day” in 1882. But “Decoration Day” was not officially changed to “Memorial Day” until 1967. That was the year I graduated from high school. In 1967 the United States was in the midst the Vietnam War, which lasted for us Americans from 1965 until 1973. Of course, this was only one of the many wars the United States had fought since 1776. Did you know our country has been at war for over 93% of its existence? United States War History from 1776 – 2011. We have continued to be at war from 2011 until today. 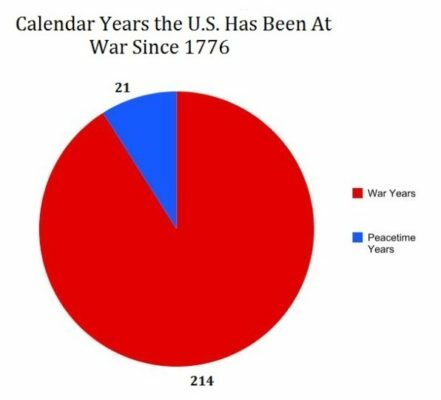 Do you consider it odd (or deplorable) that the United States has never gone a decade without war? Do you consider it odd that the only time the United States has gone five years without war (1935-40) was during the Great Depression? If you doubt the United States’ warring nature, you can check out the statistics by clicking here and here. How many of these wars do you believe were fought to protect or help us, the people, as opposed to growing lining the pockets of the military, industrial complex and the bankers who financed both sides of the wars? Do we really want to sacrifice our people to make the rich richer and their world more pleasant at the costs of the lives of our people???? Tagged bankers, Memorial Day, United States, war.